Konnichiwa! We’re glad to see that you’ve arrived safely at our first travel destination—Japan! The reason we’ve traveled across land and sea to this beautiful archipelago is to study the ancient art of kintsukuroi. What on earth is kintsukuroi, you ask? As your trusty tour guide, we’d be more than happy to fill you in. 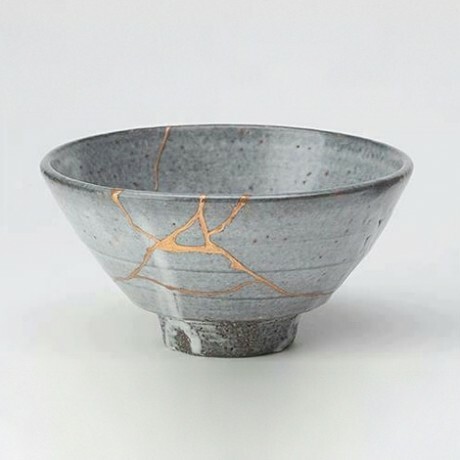 Kintsukuroi is the Japanese practice of repairing broken pottery with gold, silver, or platinum and doing so with the belief that the pottery is more beautiful for having been broken. Isn’t that a lovely idea? The final results are equally as lovely. The philosophy behind kintsukuroi is that objects are not rendered useless when they crack or begin to fall apart. In fact, these “flaws” aren’t really flaws at all! They merely signify the passing of time and contribute to the object’s history. They are not something to conceal or be ashamed of because they remind us what it means to be human. It’s hard to decide what we love most: the raw emotion of the page or the artistic details that express that emotion so perfectly—the ripped Zoe paper, the silver embossing that mirrors kintsukuroi, the heartfelt journaling. Together the emotion and details create something that resonates with each one of us. It’s sometimes hard to forgive ourselves for not being what we wish we could be, and as crafters it’s sometimes hard not to focus on our inabilities or the flaws in our artwork. Essentially, it’s hard to look beyond the cracks and simply appreciate the wonder of the whole. But it’s important that we try because there is great power in acceptance. Just as the gold and silver seams between the broken shards of pottery create a more unique and beautiful piece of art, embracing our imperfections helps us heal and embrace our own unique beauty. And that’s the kind of beauty that truly deserves to be illuminated. P.S. Be sure to leave a comment on this post to enter the travel stamp giveaway! What a great country to visit first and a great art to educate us on. You have inspired me to try to create a card or layout to incorporate kintsukuroi. Thank you for always inspiring us to try something different and new and sharing beautiful artwork. I love to travel. I’ve been on 4 continents and would love to conquer more. Very pretty! Makes me think of how we see mistakes in our pages, cards, etc. but we can learn to work with them. My friends were missionaries in Japan and brought back wonderful art pieces. I never thought of translating that over to scrapbooking! ’embracing our imperfections helps us heal and embrace our own unique beauty. And that’s the kind of beauty that truly deserves to be illuminated’. – How encouraging and inspiring is it that Close to my Heart helps us to accept ourselves yet keep moving forward to be everything that we were created to be? This is what being a part of this company has done for me. It can be quite challenging at times to move out from our comfort zones, but this is where the ‘magic and miracles’ happen! This is such a stunning layout- so soft and really lets the journaling and photo take centre stage. I love the journaling on this page. It is so true. That is what we need to live by! Beautiful Layout and wonderful journalling. What a beautiful art form! Very pretty layout with a good message for all of us. What a beautiful layout using the Kintsukuroi technique. Makes me think back to layouts I have previously done where there had been a flaw or two and trying to find embellishments to cover them without ruining the look. This is definitely a technique I will be trying in the future. Gina!! This is beautiful!! Well done my friend!! How many times have I had an “oops” on a project, such as a dropped ink pad! Seems like there’s always an appropriate embellishment around to help blend my mistake into a pleasing outcome, just like the gold in the pottery. I can’t wait to get there and see what you find to share with us. Thank you. When are we heading to or next place. It seems like it has been over a week. Maybe because I’m so excited. Can’t wait! Paper folding and fabric design, only two of the reasons I love Japan. Love this idea! 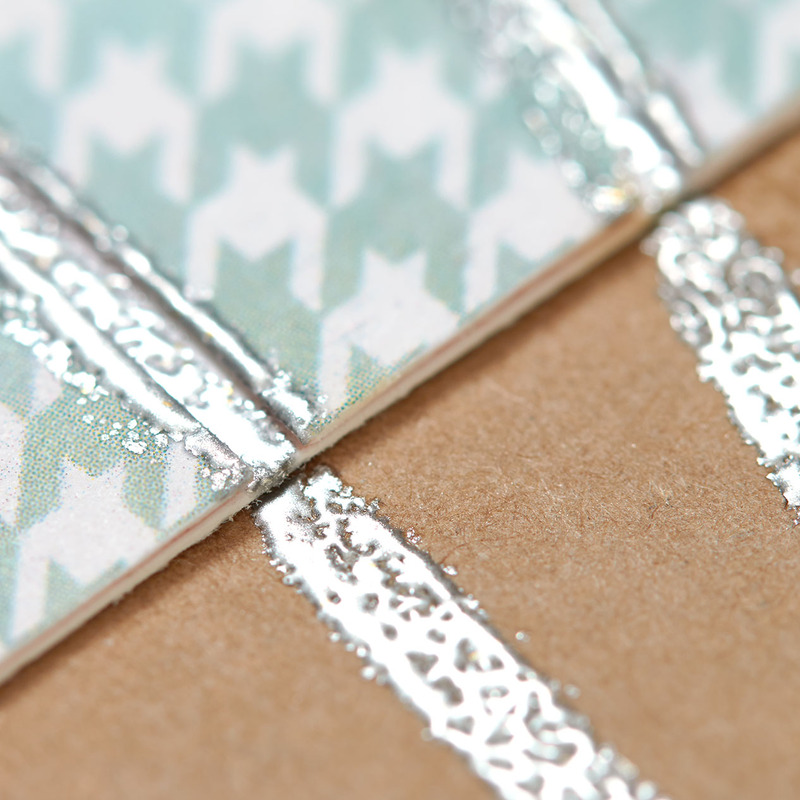 I think I would use torn paper and shimmer tape to try it out. I love the texture in the layout along with the heartfelt journaling. What a perfect reminder of our frailties. I love having something new to try! My daughter Tara lived and worked in Japan. One of her favorite Japanese concepts was that of being beautiful even after you’re broken. 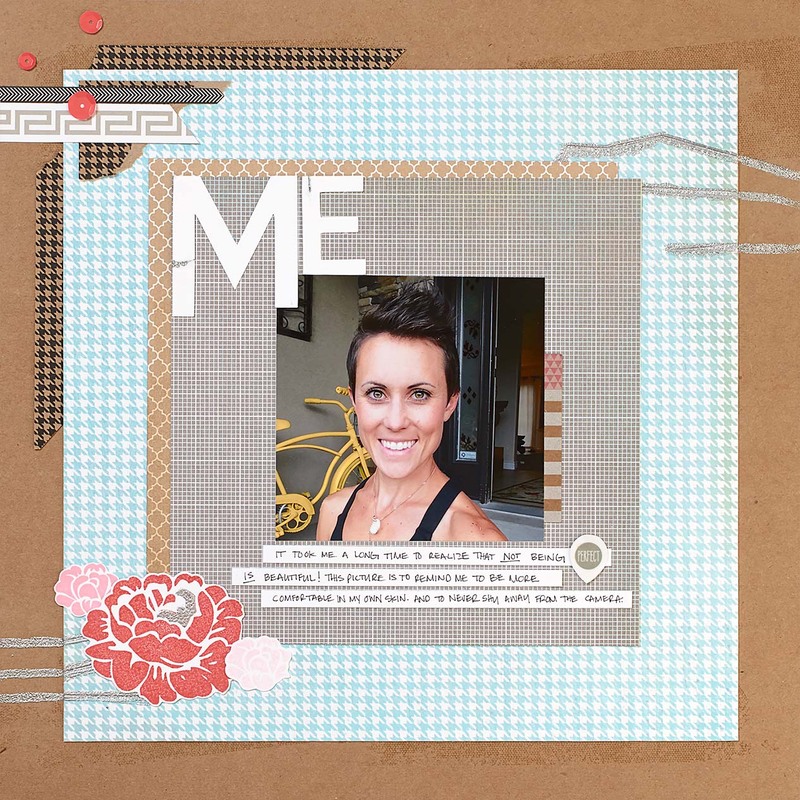 I love that you have incorporated it into a scrapbook page! Such a powerful theme. Thanks! I have a trip to Japan scheduled for October. It would be GREAT to win the travel stamps to use when scrapbooking the many pictures that I’m sure to take! Oh my the silver embossing that mirrors kintsukuroi, I would have never of thought of that. Brilliant thinking. Beautiful layout and inspiring thought. We all need reminders of our individual value in this imperfect world. I am so glad that you put the measurements down for this layout. It seems so much easier to do when they are there for you. Then there’s something else, using your imagination! Learned a new thing about this special Japanese tradition. Love the silver embossing! 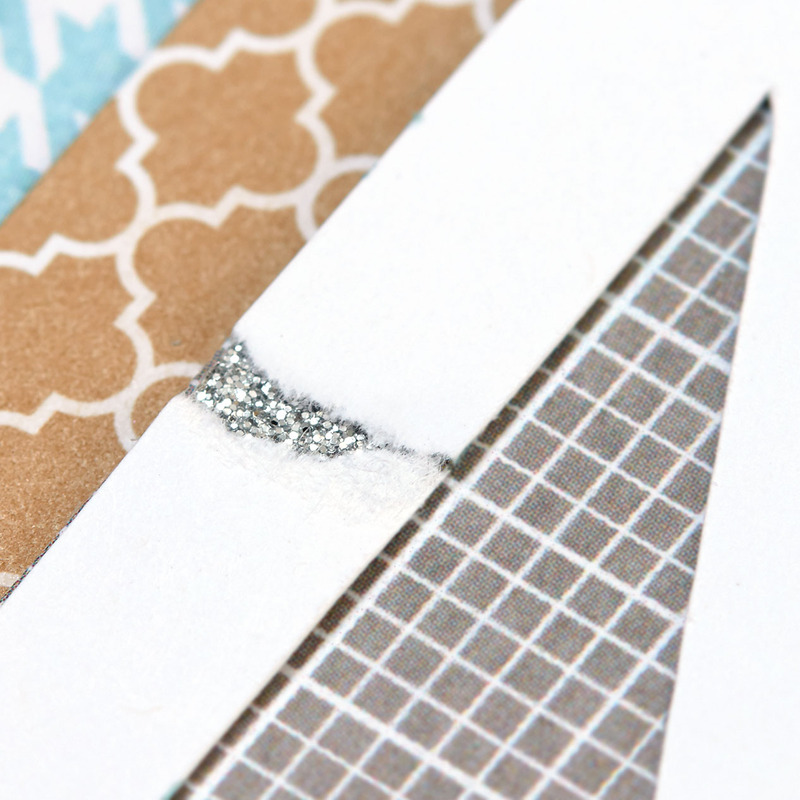 Love how this technique was applied to scrapbooking. What a beautiful way to give inspiration to scrap bookers. I love it. I have always wondered about pottery with gold or silver flowing through it. Now I know it is Kintsukuroi. I think this technique in paper crafting would be a great way to hide something that did not work out as planned too. Thanks for the inspiration. This was a neat surprise for an art technique from Japan. I really love its beauty. Thialand is beautiful. I would love to see more of these. Absolutily beautiful.